If you've been saving points or miles, your honeymoon is a perfect opportunity to use them. 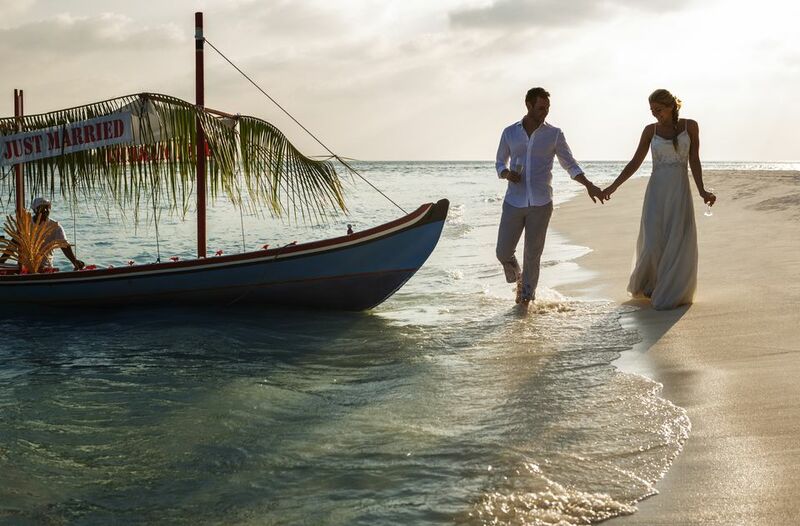 Many couples use a travel credit card to pay for wedding-related expenses, which allows them to rack up points or miles to spend on the honeymoon. This is a great strategy to get the most from your wedding-related purchases. Using points or miles can also allow you to splurge for a five-star resort or upgraded airfare to your destination. Traveling off-season can save you significant cash, with discounts often up to 50% off for accommodations. Researching can help you nail down the best period to visit to maximize optimal weather and optimal savings. For example, if you're eyeing a destination in the Caribbean, consider traveling in June or later - rates will be much cheaper than traveling in January, February or March. However, keep an eye out for hurricane season or any other periods that might cancel your plans. Daily deals sites like Groupon or LivingSocial carry discounted offers from a variety of hotels, resorts, and B&B's. Some packages also include airfare, which is a plus. Daily deal sites host offers in a wide variety of locations, including the US, the Caribbean, Europe, and even Asia. There's also a range of properties from all-inclusive resorts to exclusive B&B's for a romantic getaway. There are many websites and blogs that specialize in sharing cheap airfare deals, which can come in handy for planning an awesome honeymoon. Sites like TheFlightDeal, ThriftyTraveler, and FareDealAlert share their airfare deals via Facebook and Twitter. If you haven't decided on a honeymoon destination, scoring a great deal on airfare could kick start your honeymoon plans. Many deals go quickly, especially glitch-fares, so be prepared to act quickly! A honeymoon doesn’t mean you have to travel. You can use the time after your wedding to check out cool things in your area that you might not have seen. Your local visitor's center can provide information on museums, tours, and other must-see attractions in your area. And the best part is you get to sleep in your own bed each night. A camping trip or road trip is a great way to get away and make new memories without spending a ton. Without the hassle of trying to catch a flight, you and your new spouse can focus on relaxation and exploration. Whether you go glamping, rent an RV, or go more rustic, you’ll be sure to have a good time. Nowadays, there’s a “con” event (as in convention) for every interest and hobby. A convention for a shared interest is a great way to spend time with your new spouse and have a great time. It's even better if the event happens in a fun city like New Orleans or Las Vegas. If you really don’t want to plan your honeymoon, or are burnt out on planning, consider booking a surprise trip instead. Several travel agencies specialize in booking mystery trips, based on your interests and budget. They'll plan a complete trip for you, including travel arrangements, hotel accommodations, and fun things to do. If you’re open to new experiences, this could be the adventure for you.